This tea began in a somewhat unusual fashion. The Twitterverse has been an amazing amount of help to us, in a number of different ways. One of these is having a forum where I can ramble about tea, and people respond. They help me brainstorm. Ideas get randomly (and not so randomly) sparked all over the place, and..
… this tea started as a challenge. There was no pressure, and no specific request for me to make the tea, but… the concept got stuck in my head. I spun it around and looked at it from different angles, and remembered that I had an ingredient I’d been meaning to play with for ages that is known for adding blue or purple (depending on PH) to a tea. This seemed a good starting point, as the flower in question is a beautiful dark blue. I had to go experiment. 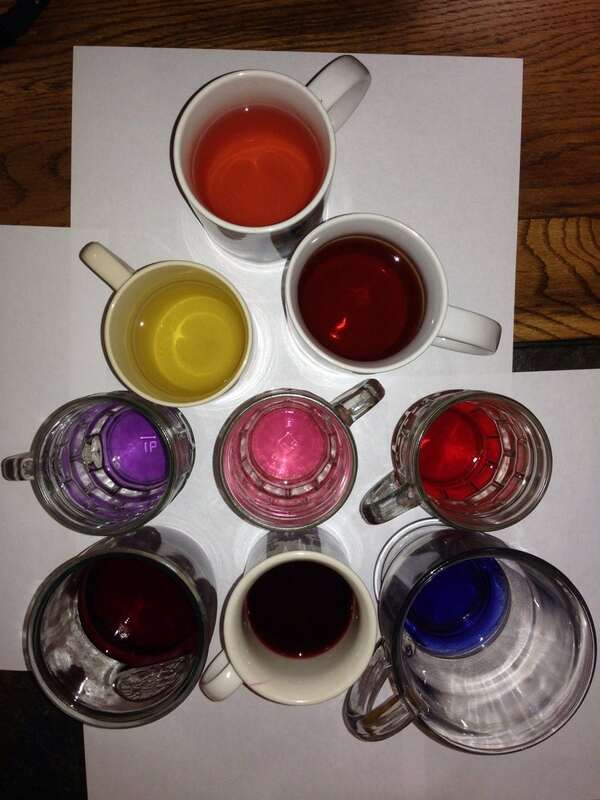 … I ended up with a tea that tasted good, had the pink and the blue, and just a hint of heat. Honestly, adding the chili was the hardest part of the process – it ended up having much more of an impact on the steeped colour than I had expected. 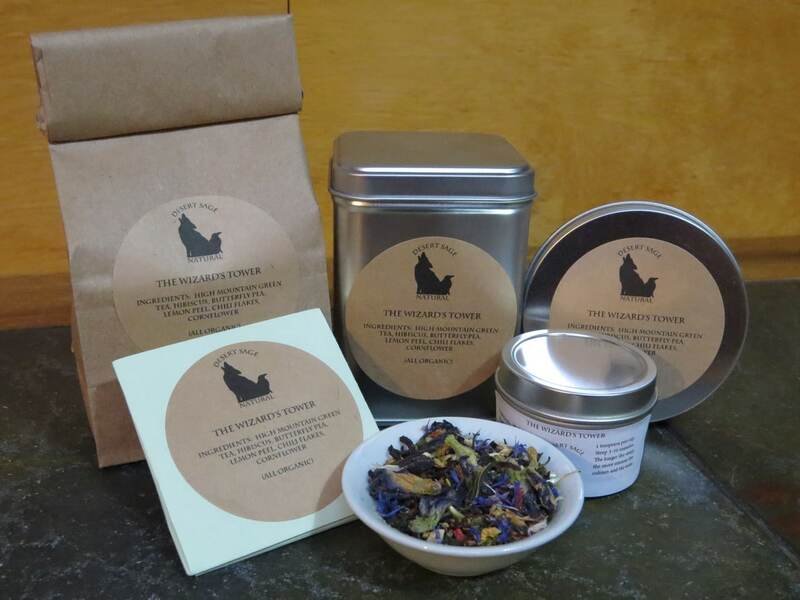 The individual who originally posited the challenge was quite happy with the visual presentation, and already had a name for the tea. Which was appropriately geeky – as was the tale behind it. Tabletop RPGs are something Mister Tea and I quite enjoy, so creating a tea that is intended as a salute to a character and a storyline within one was a happiness. 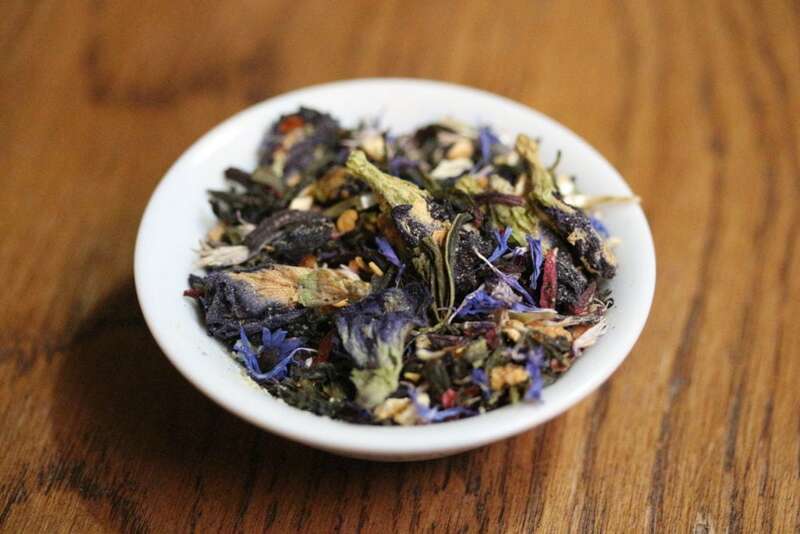 This entry was posted in Citrus, Floral, Green Tea, Simply Tasty Teas, Spicy/Hot, Things We make (Tea, Coffee, Cocoa), Uncategorized and tagged Desert Sage Natural, Dungeons and Dragons, Geek Tea, Organic Butterfly Pea, Organic Chile, Organic Cornflower, Organic Green Tea, Organic Hibiscus, Organic High Mountain Green Tea, Organic Lemon Peel, RPGs, twitter by DesertSage. Bookmark the permalink.